That’s Not a Home Run? The Fubon Guardians’ slugger 蔣智賢 (Chiang Chih-Hsien) was having one of those days against the Uni-Lions tonight. Thinking he has hit a home run, Chiang was tagged out during his home run trot. It was in the top of the sixth inning, and the Guardians were down 3 to 8. Facing the Uni-Lions reliever, Chiang rips a fastball to the opposite field which landed at the warning track. Maybe it was the light, Chiang seems to think that he hit one over the wall. Even though the left fielder returned the ball to the infield, Chiang who was still unaware of the situation continued trotting towards the third base. 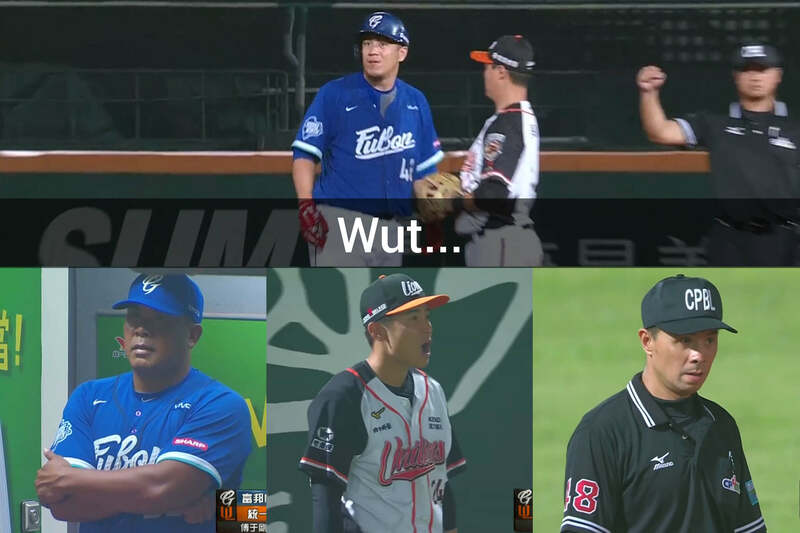 He was eventually tagged out by the Uni-Lions infielder and left everyone in shock as he did the walk of shame back to the Guardians’ dugout.